NHS England has recently produced its provisional ‘Never Events’ data for 2016/2017. As a result of this, the NHS has come under further scrutiny in the press, but what does the data tell us? The occurrence of Never Events in the NHS has long been an issue of concern, particularly given the number of such events appear to be on the rise. Never Events are, as the name suggests, medical errors that are wholly preventable and should never occur. We have written in more detail on what constitutes a never event previously which you can read about here. In an attempt to be more transparent, NHS England has recently produced its provisional never events data for 2016/2017 on the NHS improvement website which has caught the attention of the media. The data demonstrates that 351 Never Events occurred between 1 April 2016 and 31 January 2017. Here I look at the findings of the publication in more detail. What the data tells us? The data helpfully sets out the various categories of never events for the 2016/2017 period and provides a breakdown of how many such events have occurred. The most common never event was listed as ‘wrong site surgery’ This means that surgery or procedure was performed on the wrong part of a person’s body, for example surgery taking place on the wrong leg. 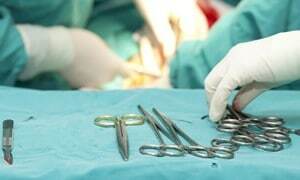 The data tells us that there were 143 incidents of wrong site surgery in the period. There were 33 occasions on which the wrong tooth/teeth were treated. Alarmingly, there were also 4 instances of incorrect patient identification – meaning four patients received a procedure meant for someone else. The second most frequently occurring never event, with 88 recorded instances, is ‘retained foreign object post procedure’. Essentially this means that something has been left behind following a procedure and can include anything from a cotton bud to a broken drill bit and, in 28 cases, a vaginal swab. The publication also discusses the NHS trusts with the highest number of recorded never nvents for the period, with Bart’s Health NHS trust and Newcastle Upon Tyne Hospitals NHS Foundation Trust having the highest numbers. In the publication, the NHS is quick to point out that the definition of a never event and the designated list of what is classed as a never event has been revised as of April 2015, meaning that direct comparisons from previous years are difficult to draw. This makes it difficult to see clearly whether the number of never events have in fact increased or whether the classification of never events has simply broadened. Despite trying to implement better methods of report for never events and more comprehensive guidance, the fact that there continues to be such a number of never events taking place is clearly an area of concern. The Publication by NHS Improvement states that never events, even if they are not life threatening, should act as red flags that an organisation is not following the correct procedures and that never events are key indicators that there has been a failure to put safety advice and guidelines into place and should be taken seriously by those in charge. Representatives from the Trusts that have been named as having some of the highest reported incidences of never events have highlighted that, given the number of patients treated every year and the complexity of their treatment, the number of recorded never events is actually proportionally very low. This being said, they are quick to recognise that this does not by any means excuse the mistakes that are made, given that they are, as the name suggests supposed to be entirely avoidable. In our experience, patients often find it very difficult to come to terms with the fact that they have suffered injury as a result of a never event as they are aware that it could have so easily have been prevented. In an attempt to reduce the number of never events going forward, the NHS has published a set of National Safety Standards relating to invasive procedures, and is encouraging all NHS organisations to develop and implement their own systems in line with these standards. Whilst this will hopefully see a positive improvement, there have been a number of checklists in place for some time designed to avoid errors occurring in surgical treatment, which do not seem to be widely used, and we have written about this previously. It is vital that the hospitals and medical staff are given the support needed to implement these measures.